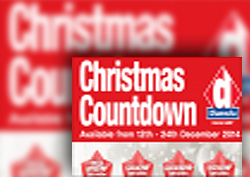 Only 6 Days Remaining of our Christmas Countdown! Only 6 Days Remaining of our Christmas Countdown! Why miss out on these spectacular savings, available until 24 December 2014!